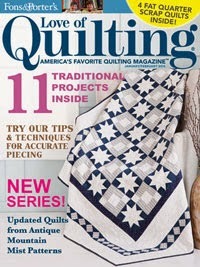 If happy quilts and cheery prints appeal to you, keep reading! Wendy Sheppard used the oh-so-fun and bright prints from Greta Lynn's Luv Bugs collection for Kanvas to create the happiest quilt of 2015! 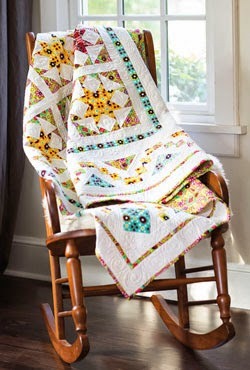 "Sunny Delight," featured in Love of Quilting, pairs the Luv Bugs prints with white solid in a star block quilt surrounded by an eye-catching pieced border. Keep reading to hear what Wendy has to say about this smile maker. What appeals to you about the Luv Bugs collection? 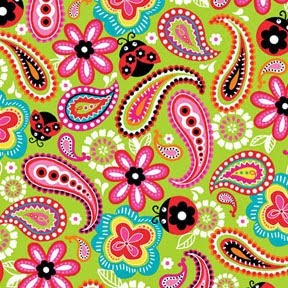 I love that the Luv Bugs have a strong garden theme and yet don't really look really garden-y, but rather whimsical, fun, and cheerful so that they would work for either a grown up or a child's quilt. Have any favorite prints from the line? What might surprise us about your design? Actually, this quilt isn't quite as challenging as it appears. I was able to keep track of all the pieces pretty well. But yes, there is quite a bit of piecing, and that can make it a little daunting. I imagine this quilt will get along really well with those who love to piece. There are basically only two blocks in the quilt, just colored and oriented differently for the zig zag pieced inner border. Speaking of that pieced border—can you tell us about it? That is actually made with easy-to-construct four-patch and HST units. I think coloring it two different ways makes a nice visual effect. What made you keep going with the quilt design, rather than just stopping after the 16 center blocks and a border or two? The quilt center has a lot of colors. From the beginning, I knew it would need the white to balance out the colors, but beyond the contrast, I needed a pieced border with colors to give a sense of completion to the overall design. So the zig zag border did the job nicely. 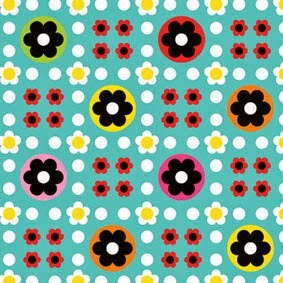 Tips for making all these fun but busy prints work together? Use lots of white or any neutral ground fabric to give rest to the eyes, and I also like to bring the colors back beyond the quilt center at some point for a finishing touch, like I had done in the zig zag border. In the center, I colored the outer edge of the block to make the center star stand out against the white background. I just love the colors in this quilt, and how well they all work together! Click here to see the entire Luv Bugs collection. Click here to learn more about Wendy and her work. You just have to love those Luv Bugs! Adding the white really does give the eye a place to rest from the busy-ness of the print. Beautiful! I love the pieced borders!